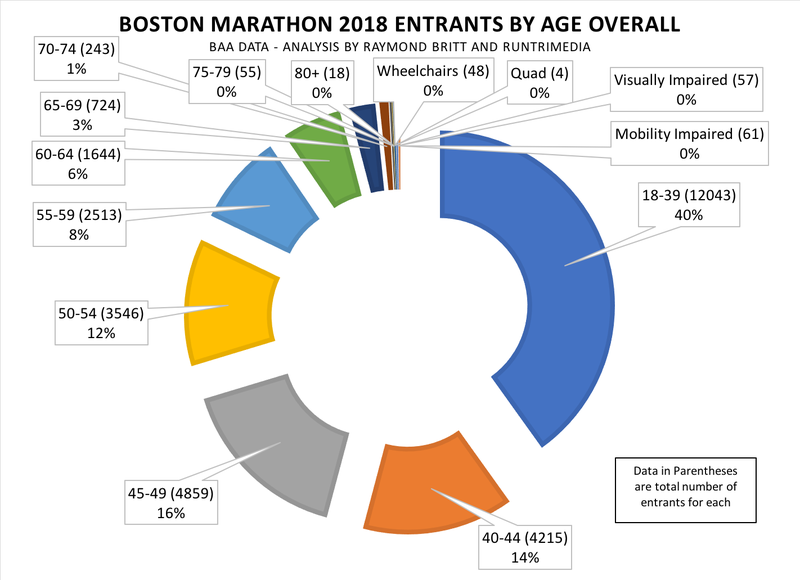 Including all starters -- runners, wheelchairs, handcycles, visually impaired and mobility impaired -- the total Boston Marathon entrants exceeds 30,000. In this analysis, we break the total field into age groups in the first chart, and age groups by gender in the second chart. 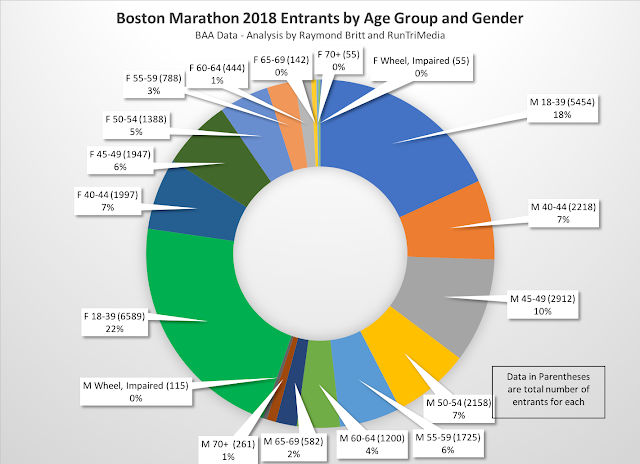 Looking at entrants by age group -- men and women combined -- can summarize the largest groups as ages 18-39 = 40%, 40-44 and 45-49 = 30% and 50-54 and 55-59 = 20%. The remainder of the entrants = 10%. Quite a different story when you slice the entrants by gender and age group. The largest percent of entrants = women 18-39 = 22%. Men 18-39 are next with 18%. At 10%, men 45-49 are the only other group of entrants with percentage in double digits. After that, many other age groups represent fairly similar proportions, in the 5% to 7% range.